We've added a gorgeous new design to our line of notecards. We decided to go for something bright and bold and just plain awesome. 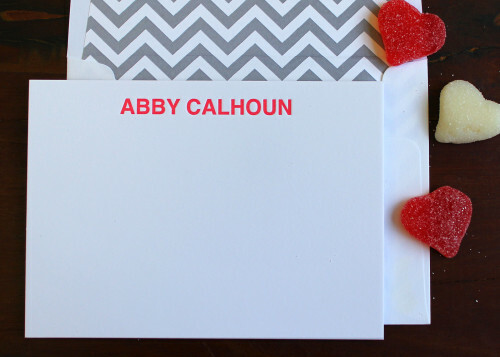 We love how the thick type looks in this bright red and the chevron envelope lining just adds another pop of pattern.